Ægir beer is world-class, and our concept – Ægir beer in and with the food – has proved a success. Come and be part of our exciting story in Flåm, learn about the brewer’s art, and take a sensory journey of discovery into a new world of aromas and flavours! 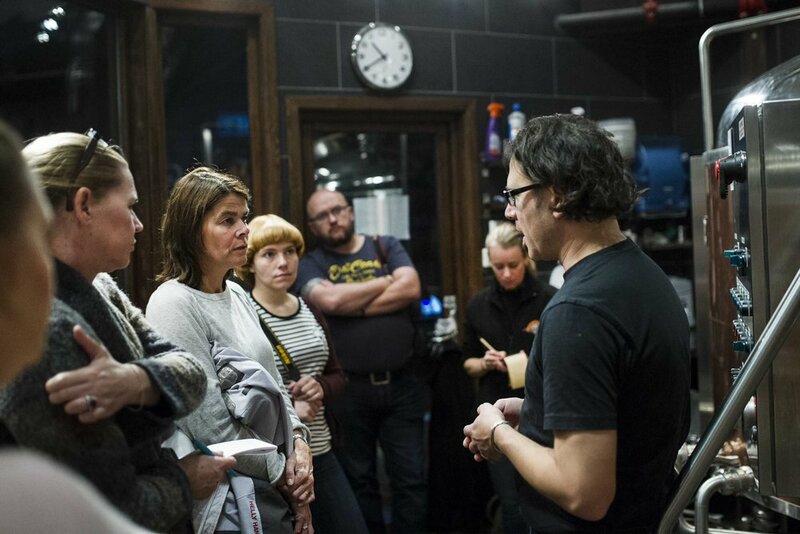 VIP presentation with visit to Ægir BrewPub’s production brewery. Sample five selected speciality beers from Ægir. Perfect for beer geeks and nerds, home brewers, or simply those with a passion for beer! Price: Nok 5450, max. 15 persons. Price: NOK 305 per person in groups of mininum 15 people and NOK 4575 total for groups with less than 15 people. Listen to and be part of the Ægir story, and sample Ægir beer and aquavit – new seasonings, new flavours and new variations. Price: Nok 360 per person for groups of min. 15 persons, or NOK 5400 for smaller groups.